The relationship I share with Nature goes back for as long as I remember. I was born in a small green pocket within Mumbai city and for a long time I thought Mumbai was that green. It was fifteen years later that I realised that the green place I called home was one of a kind, one of the last remaining wild lands in Mumbai where one could live with nature in its true essence. My childhood days involved countless occasions of interactions with nature. While walking to school or on the way back, my mom would point at the different birds that we would see. “That’s a Magpie Robin”, she would tell me and my friends pointing to the black and white bird that chirped away for everyone to hear. I would notice the trees and their flowering season, the birds that we saw only during winters, the occasional snake that would slither away without anyone noticing. I was so enamoured with the way nature worked, everything used to amaze me as a kid. It was for this reason I joined a local nature club, an association run by an enthusiastic and nature loving couple with their daughter. With them, I travelled to nearby forests, mudflats and villages, and learned about birds and animals and their habitat. We learned to notice and observe birds more intently. As part of the club, we also planted two saplings in the garden complex of my former residence. During my childhood, picnics did not mean going to amusement parks or theme parks. It meant finding the most shade-giving tree near to our apartment building and pitching up a small tent-like structure. We also once had a kitchen garden in our building. Our mothers guided us and gave us tips on tending the garden. We planted tomatoes, brinjal and some herbs. We also emptied our kitchen waste as compost into the garden pit. After school, I would rush down to the garden to water the plants. And soon enough, the tomato plant bore several fruits. I remember waiting patiently for a week till the fruit grew bigger and riper for us to pluck it. A tomato from our very own garden! The wait, which seemed like forever, finally came to an end and four tomatoes were distributed amongst the four of us kids who tended the garden. My sister and I joyfully brought home the one tomato to show off to our parents the fruit of our hard labour. My mother of course beamed with pride seeing her two kids taking keen interest in such an activity. The plan was to cut the tomato (like a cake-cutting ceremony) during dinner and relish the tasty fruit with our family. I also remember me and my sister being extremely upset when that very same day my dad eventually came back from the office and made rassam unknowingly using our tomato! I remember the time when I was really upset about leaving my apartment and shifting to another one just a few hundred feet away. But one of the things that made me accept the new apartment was the path that led to it (from my old building) through a forest; barely a hundred meter winding kuchha path through the forest. I remember walking with my grandmother through that forest when a snake crossed our path. I was scared, but my grandmother didn’t lose her calm; she held on to me and said wait, don’t run, stay here. Let it pass. And we watched the exceptionally long yellowish brown snake cross our path for a good 5 seconds! There were many such small green forest patches in the colony and I occasionally would traverse through them to reach shops, buildings or school. The “short-cuts” through these patches soon became my favourite pass-time. My school was located in a fairly open space, but the location where I completed by grade 11 and 12, was nothing short of a picturesque painting. Just behind the college was a lake with green waters. There was a small rock island in the lake where many birds would come and rest, particularly during winters. I remember having spotted a couple of Garganey (Anas querquedula) there once! 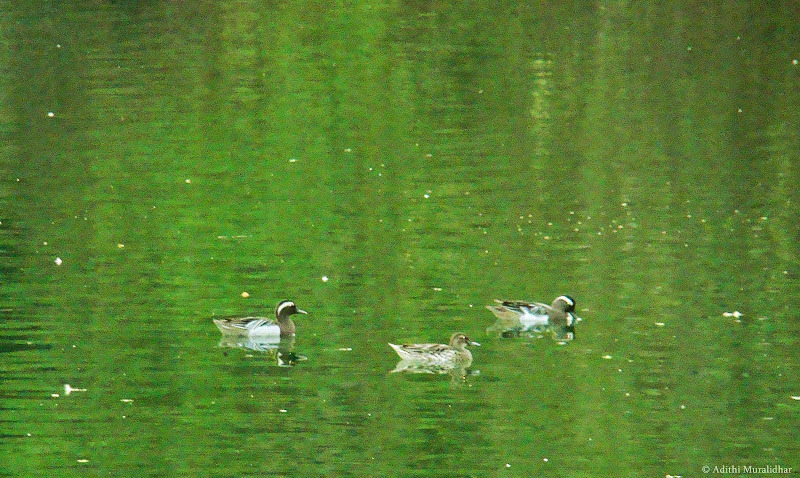 Garganey, a winter visitor to the Indian subcontinent. During monsoons, this place would turn greener with kingfishers zooming past and catching fish. Freshwater Turtles (or terrapins) could be seen swimming just under the surface of the water as they came up for an occasional breather. Unfortunately the lake was fenced on all sides and we could never venture too close to it. Thanks to some meddling residents who did manage to break the fence, the lake ended up being a “visarjan point” during Ganesh Festival. Since then, the broken fence area which is also the only access to the lake is trashed with plastic, boxes, and flowers. 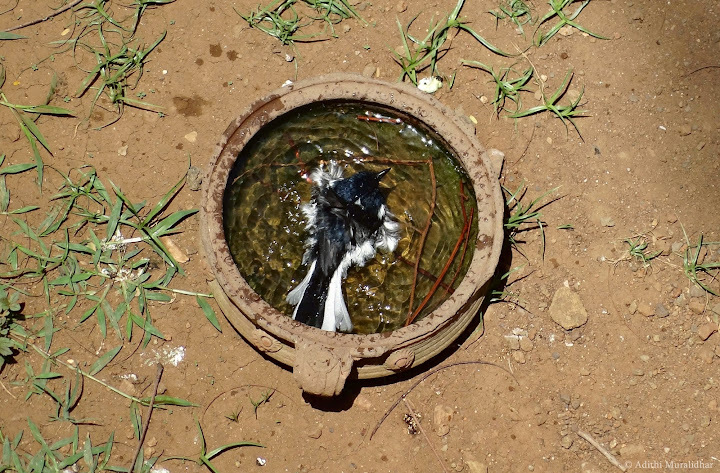 It has also become a breeding ground for mosquitoes. Never the less, it is still up to this day one of my most favourite places. Monsoons meant it was time for some small hikes in the vicinity. I had a great time sighting fresh water mollusks, scintillating insects, bird songs, and other forms of nature that gave me company during these hikes. I no longer stay in such a green pocket (and much to my sadness, the greenery I speak of does not exist the way as it used to now). But the good thing is that thanks to this connection, I have now learnt to pay attention to the minutest of details when it comes to nature, on how to appreciate nature even when I am sitting duck in the middle of peak hour traffic in Andheri. Today I find pleasure even when I travel through Mumbai local trains and I see open drains and sewers enroute; for I am able to observe and appreciate the opportunistic Cattle Egret (Bubulcus ibis) who has found a way to live in such environments. When I pass Kurla station, I peek into the gutters that are found between two tracks and observe frogs that are able to live in that polluted water! Nature has only continued to amaze me day after day and I am thankful to my childhood experiences because I have learnt how to truly value all the facets of nature and be grateful to her. Since I love rambling about nature to anyone who is willing to listen, I used to not miss opportunities where I could interact with youngsters particularly school students and college-goers. I tell them about my experiences in nature. Their ideas and comments used to help me understand what kind of views they have about the world around them, what animals in particular catch their attention, which issues do they consider to be as "environmental problems". 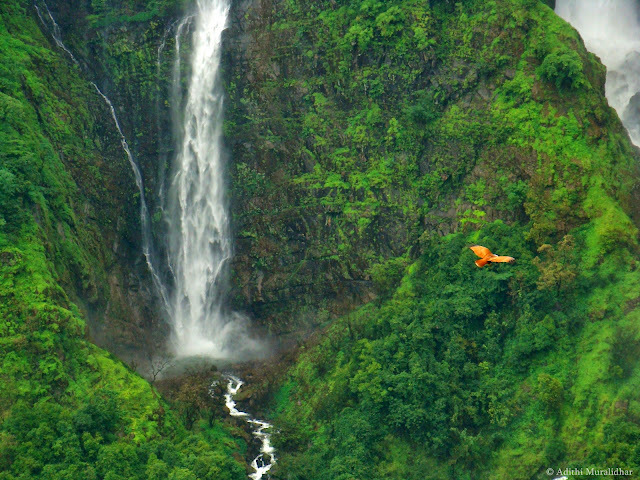 When asked which is their most favourite, or rather most memorable experience in nature, they would all talk about a famous tourist stop or a hill station. I have noticed that all they need sometimes is a little nudge to get their minds thinking and imagining. 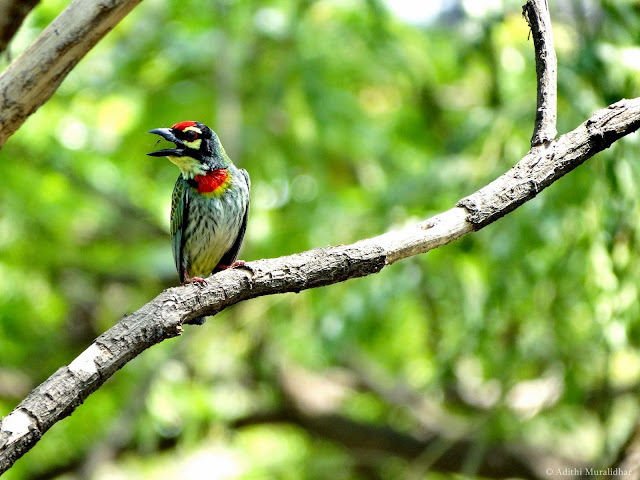 Show them a picture of Coppersmith Barbet. They are mesmerized by her colours. Then ask them if they can hear that repetitious kuk-kuk-kuk sound. They appear much surprised when you inform them that the source of that ‘call’ is the Coppersmith Barbet! Rest assured you will have them looking for the source of sounds in nature the next time they hear this much commonly heard bird in the city. Unfortunately, our green pockets are shrinking. Not all of us may have the privilege of growing in some green pocket within a city anymore, but the greenery isn’t ever too far. There is more than one reason to be in the midst of nature, and there is a growing body of science that indicates that exposure to nature at a young age leads to positive environmental ethics (for more, see this). Given that we are living in a world where environment takes a back seat, there is a need for the younger generation to be more environmentally conscious and sensitive. And all you need to do is be in nature with all your senses open, and reach out to the plants and animals with an open heart and mind. Adithi is an ardent nature enthusiast based in Mumbai and has a keen interest in science and environment education, sustainability and socio-cultural issues. This work is © Adithi Muralidhar and has been published with her permission. All the views expressed in this article are that of the author. Feel free to use the content and photographs of this article for non-commercial work with an attribute to the author/photographer along with a link back to this page, and would appreciate if you can drop an email to Adithi to let her know that you have used her work. I am not from Mumbai. I only spent 10 years there and I was fortunate that i stayed in the place that I did - Godrej Hillside Colony. A lot of what Adithi describes, I have seen and experienced. The 7 foot snake that looked warily at me as I trudged across an open glade, the trio of spotted owlets that would keep one eye open to check on me as I crept to photograph them, the small body of water that used for form behind the boundary wall ... these are memories that stay. Unlike Adithi however, I am do not look for life in the gutters or sewage that is Mumbai today. An overwhelming sadness overcomes me as I see the last vestiges of green being destroyed and I feel miserable when I see that cement mixer truck going to another site where the land is dug up for buildings rather than trees to come up. Hi Bernard, you've lived in one of the best, and the last, protected sites in Mumbai! I look at frogs in gutters with pessimism as well, but just to see their resiliency, their will to come back and fight back, gives me a hope that when the civilization falls, they will reign supreme again. But I hope it doesn't come to that, instead we must live together in harmony. Unfortunately the managers of Mumbai still fail to see it, what with Sewri and Aarey.